India is not only at the origin of everything; intellectually, religiously or politically and even the Greek heritage seems pale in comparison. ~ Frederich Von Schlegel, great German Philosopher. World’s Best brains like Elbert Einstien, Frederich Von Schlegel, Julius R Oppenheimer among others admit and acknowledge Ancient India’s contribution to science and technology. Elbert Einstien Quoted “We owe a lot to Indians who taught us how to count, without which no worthwhile scientific discovery could have been made”, which does express his views on India’s remarkable contributions. In this space, We will discuss Top 10 Ancient India’s contributions to information and technology and its quick facts how and when it was discovered. 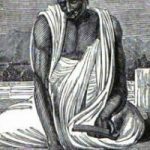 The great 7th Century Indian mathematician and astronomer Brahmagupta was the first to give rules to compute with zero i.e. When zero Is added to a number or subtracted from a number, the number remains unchanged, A number multiplied by zero remains zero. Secondly, He’s also known for dealing with positive(fortune) and negative (debt) numbers i.e. Debt (Negative) minus zero is debt (Negative), Similarly Fortune (Positive) minus zero is fortune (Positive) etc. Notation generally implies a set of well-defined representations of quantities and symbols operators.It is believed that a mathematical notation to represent counting was first developed at least 50,000 years Arabs who called it the hind numerals which are also adopted by western countries centuries later. Vedic Indian Scholar Pingala Invented Binary Number System in 2nd Century BCE in his book Chandaḥśāstra.Pingala (in Chandaḥśāstra 8.23) has assigned the following combinations of zero and one to represent various numbers, much in the same way as the present day computer programming procedures. 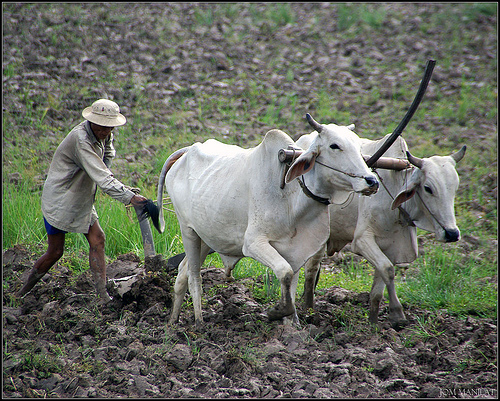 A Plough Is tool being used in farming for initial cultivation of the soil, The earliest known instance of a plowed field was found at Kalibangan. 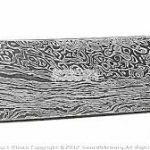 This ancient tool which was being used form ages and till now and also adopted by various traditional farm owners in various countries were traditionally drawn by working animals such as horses, cows, etc. Ancient Indian Sage and Philosopher, Kanad (happen lived between 6th century and 2nd Century BCE) was also known as Kashyap, Kananda, who founded the Vaisheshika (one of the six orthodox schools of Vedic Systems) school of Indian philosophy invented theory of atom which is an indestructible particle of matter also He used invariance arguments to determine properties of the atoms. 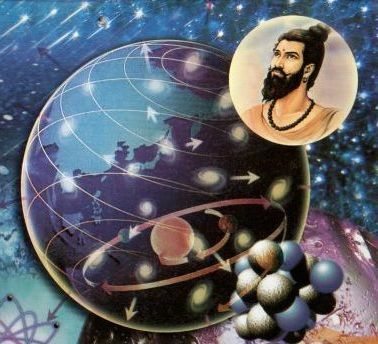 Aryabhatta was first major ancient mathematician from classical ancient mathematics age happens to be between 476-550 CE (Common Era). He Played a vital role in Place value system and zero, Approximation of π, Trigonometry, Indeterminate equations, and Algebra. You can learn in detail here. As we know India is still full of mysteries and discoveries which is untouched or work in progress , India also invented various metals like Wootz Steel (A pioneering steel alloy matrix developed in India), Smelting of zinc (India was first to smelt zinc as Zawar in the Tiri valley of Rajasthan is the world’s first known ancient zinc smelting site) and seamless celestial globe was made in Kashmir by Ali Kashmiri ibn Luqman in the reign of Emperor Akbar. As written in The Sushruta Samhita By Sushruta in 6th Century BC, Is an ancient Sanskrit text on medicine and surgeries which played a vital role at that time. The Sushruta Samhita Mentions many treaties including plastic surgery of nose practiced at that time which is also known as rhinoplasty. The first Cataract Surgery also performed by Sushruta in the same time span. Therefore Plastic Surgery and Cataract Surgery was invented by ancient Indians. Ayurveda Originated back to around 5000 BCE, some concepts of Ayurveda have existed since the times of Indus valley civilization.It is a system of medicine with hysterical roots in the Indian subcontinent which is now modernized its uses to multinational companies and elements used in the process of various medicine or ancient treaties. In the 1780s, When there was war against British East India Company, Topu sultan (Son and success of Hyder Ali, 18th Century Ruler of) Mysore invented Iron Cased Rockets and first launched against them by him, it was named as Mysorean Rockets.